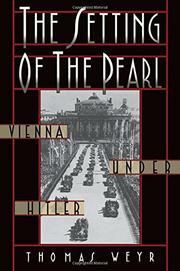 In 1938, that year of Anschluss, Adolf Hitler promised that he would “give a proper setting” to the pearl that was Vienna. He remade the city indeed, writes Vienna native and now American journalist Weyr, but with far from lustrous results. Vienna remains provincial and unimportant, Weyr writes, and “the city’s culture in the twenty-first century is all in the past,” another victim of a tragic time. A solid, well-written history of a city undone.